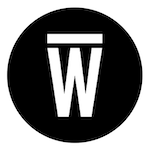 *You can find more creators near you on Wescover. Just click the black “inquire” button to ask about a gift! 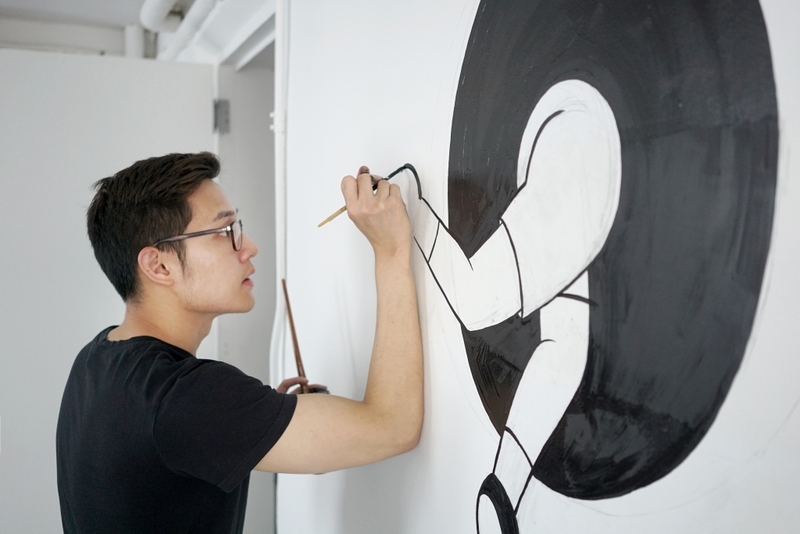 Escaping From The Box, custom mural by Kantapon Metheekul in this NY Private office as seen on Wescover. 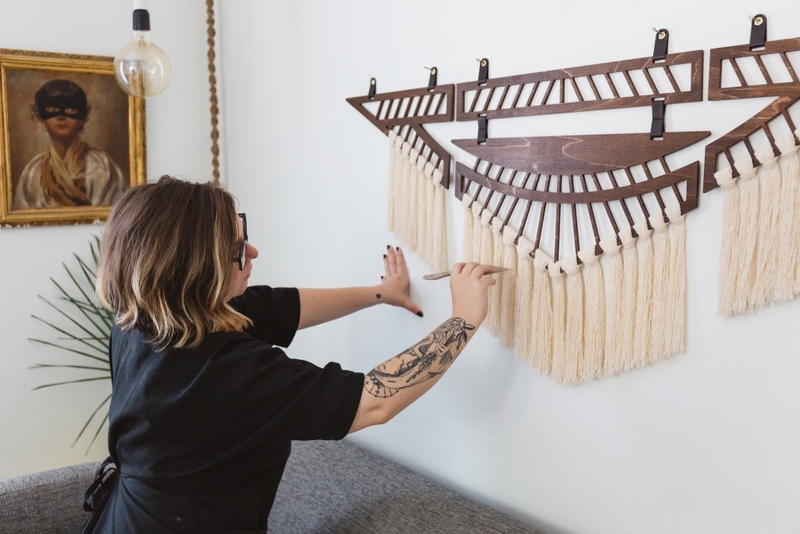 As design lovers, we search for unique and lasting gifts. 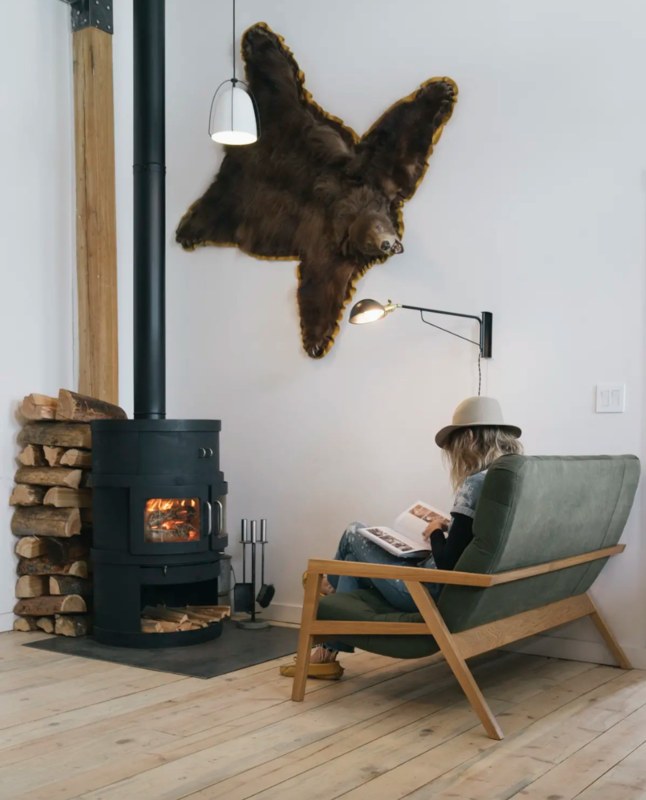 We’ve seen how vintage pillows, handcrafted tableware, and contemporary lighting have brought a cozy and refined vibe to spaces around the globe. 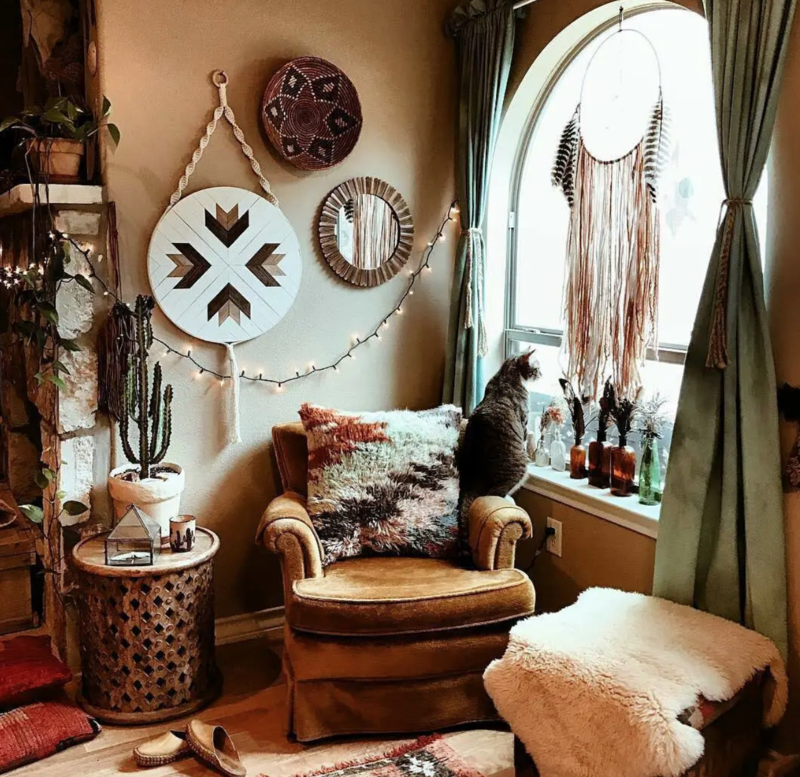 There’s something about cozy lights, warm mugs, and hanging garlands that gets us in an extra creative gift-giving mood. So we’ve compiled a list of fifteen unique items under $200 that make for the perfect holiday gift. Get your wrapping paper ready for these local, unique and thoughtful designs. 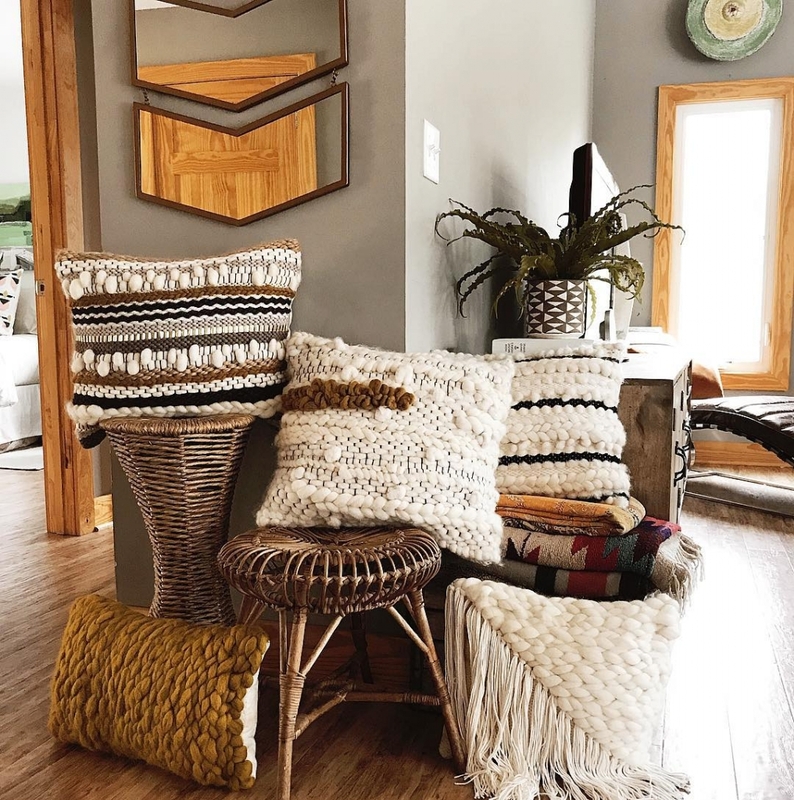 Woven Pillows by Erin Barrett (Sunwoven) as seen in this Charleston Private Home on Wescover. Thunderbird wall hanging by Wanderluxe as seen in this Rhode Island Private Home on Wescover. 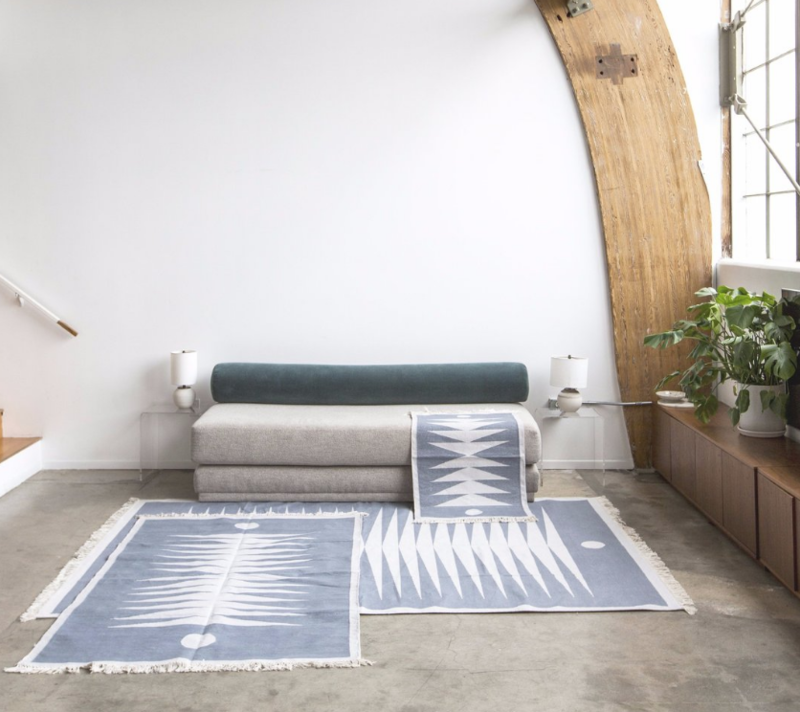 Cotton Flatweave Yucca Rug by Block Shop (photo courtesy of Block Shop). 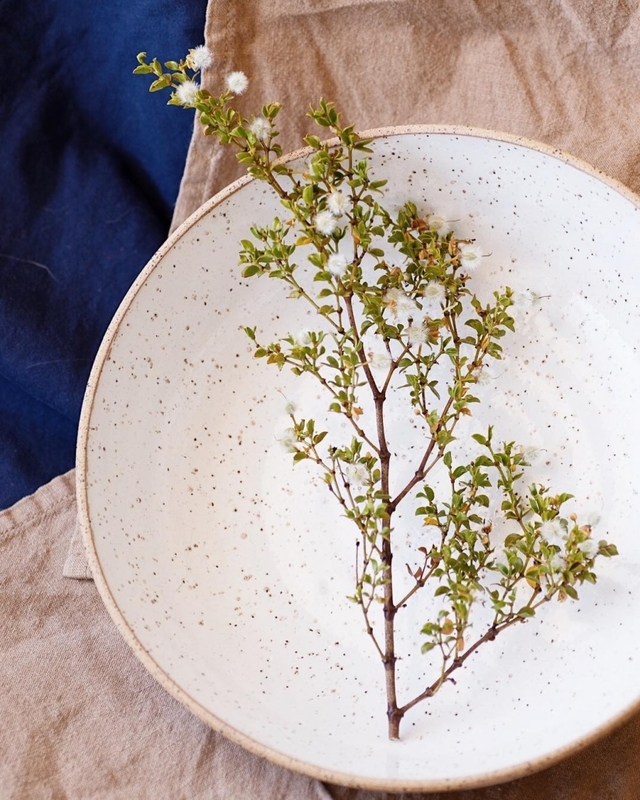 Wide Serving Bowl, tableware by ZZIEE Ceramics as seen in her Joshua tree Studio on Wescover. Explore more near you! There are so many more ready to mail design objects and creators you can commission. Click the black “inquire” button for more info! 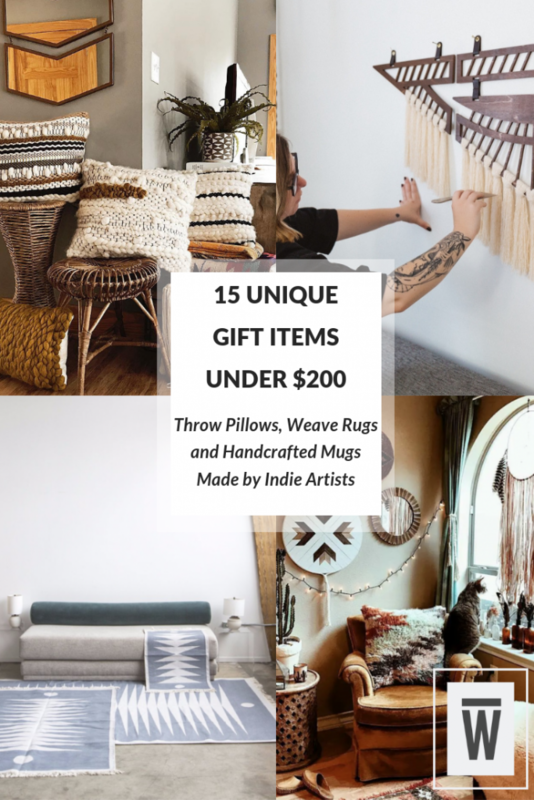 15 Unique Gift Items for under $200. A Wescover listicle.